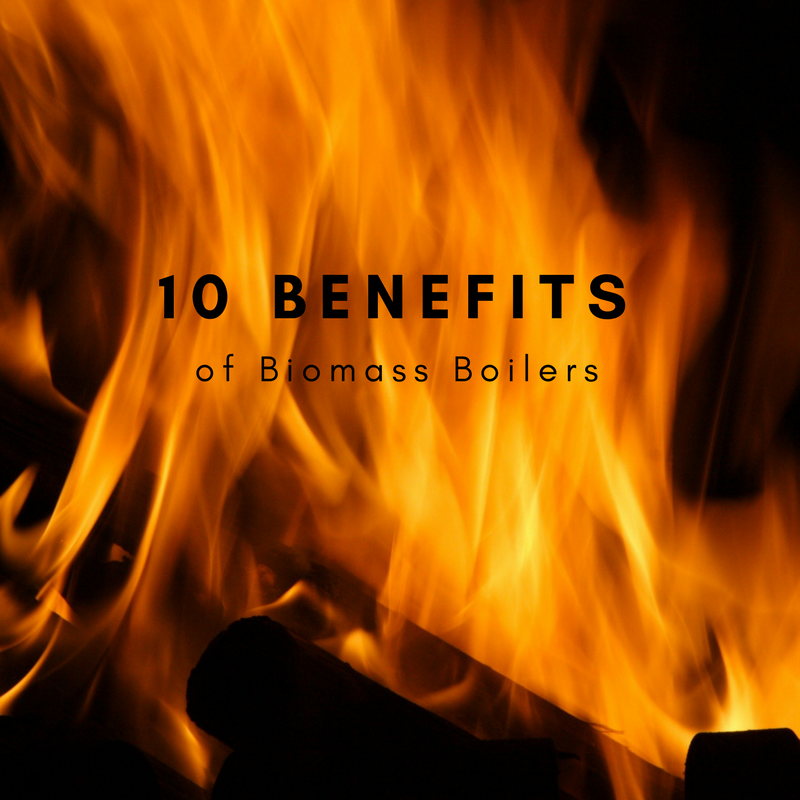 Today we’re discussing 10 benefits of biomass boilers. Biomass Boiler Services Ltd. specialise in the repair, servicing and maintenance of commercial and industrial boilers, rather than domestic boilers. That being said, these points still apply if you have a smaller boiler in your home. First up for our list of biomass boiler benefits, let’s talk about CO2 emissions. If you are trying to lower the carbon footprint of your business, installation of a biomass boiler could be a fantastic way to do just that. Biomass is considered a carbon-neutral form of energy because the same amount of CO2 that is released by burning biomass is later reabsorbed by growing plants. It’s a happy cycle. Not only will you be lowering CO2 emissions and doing your bit for the planet, your business will have the added value of being an eco-friendly company. Our clients at the Adelphi distillery, Uistasco and Frogmary Farm mention their biomass boiler in their branding as an environmentally positive talking point. There’s never been a better time to be environmentally conscious, and having a biomass boiler is an efficient way to achieve your environmental goals. #2 of our 10 Benefits of Biomass Boilers is money! RHI stands for Renewable Heating Incentive, and if you are a business in the UK you may be eligible for financial rewards for installing a biomass boiler. You can learn more about RHI on the Ofgem website. Please contact your local authority for more information and to ensure that you are eligible. Some businesses can make substantial earnings by installing a biomass boiler! If your business produces waste wood, then you may find that you can save money on having waste wood removed from the premises, whilst also using the wood to heat/dry/power your factory. This 3rd of 10 Benefits of Biomass Boilers gets covered more in #6 of this list, and also please see our post, ‘Turning Waste Wood into Profit with Biomass‘ for more insight. There are many ways in which biomass can boost your local economy. #4 of our 10 Benefits of Biomass Boilers is all about your local economy. Do your bit for the planet, globally and locally! Demand for wood pellets requires the planting of more trees, in turn creating new income streams, more jobs, and benefitting the local environment. In addition to this, Biomass Boiler Services Ltd is a family-run business based in Berwick upon Tweed, operating all over the UK and Ireland. With over 30 years of experience in the industry, you’ll be hard pushed to find a friendlier, more experience Biomass Boiler Company in the UK. Biomass energy is renewable. Trees are used as fuel, and they are replanted to ensure a reliable, sustainable and continuous supply. Three cheers to no fossil fuels! Please see our post, ‘Turning Waste Wood into Profit with Biomass‘ to learn more. Please also note that the government’s laws regarding RHI are always changing. It’s worth checking the latest restrictions on the Government’s legislation website. Trees are everywhere! Some pellets are imported from further afield, however if more people start using biomass energy, this can stimulate the local economy and encourage the planting of new trees. Also, if you are using wood in your business, that waste would could be suitable to use as fuel for your biomass boiler. If waste wood is being used as fuel for your biomass boiler, it doesn’t need to go to straight to landfill. Close the loop. Take control of the waste your company is producing, and harness that energy. Biomass boilers are extremely efficient. Thanks to modern technology and new designs, you can expect your new biomass boiler to operate at 90% efficiency. This leaves conventional boilers and electric heating systems in the dust. The efficiency of your biomass system largely depends on how energy efficient the space which the boiler is heating is, the air flow around the boiler, and the type of flue fitted. These are all elements which Biomass Boiler Services engineers are trained to optimise. Boilers work best when they are well maintained and regularly serviced by a biomass specialist. We can help with that! With packages to suit all kinds of businesses and biomass boilers, get in touch and we’ll happily help you create a service and maintenance schedule that works for your business, and keeps your biomass boiler running smoothly. To get the very most from your biomass boiler, you should have it installed by a company with a good track record and long standing history to fit and commission it. With over 30 years of specialist biomass experience, BBS are a good choice. We are here to answer all of your questions and help you to get the biomass boiler that is right for your business. Get in touch with Biomass Boiler Services Ltd.’s friendly team today, who will be happy to advise you on biomass servicing and maintenance solutions which keep your boiler running smoothly, at optimum efficiency. Ok, that’s all from our 10 Benefits of Biomass Boilers. We hope you’ve found some of this information useful. Any questions at all, please do not hesitate to get in touch. Call us now to discuss your biomass requirements. Learn more about Biomass Boiler Services Ltd.